Can there ever be too much bling?? While I have a very strong tomboy side, my inner girly-girly screams out for attention quite often. 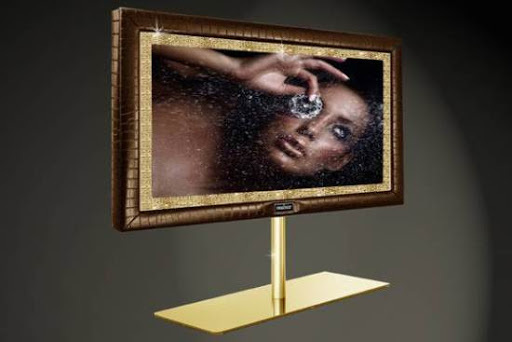 I came across a post on GeekSugar that talked about blinged out TVs. 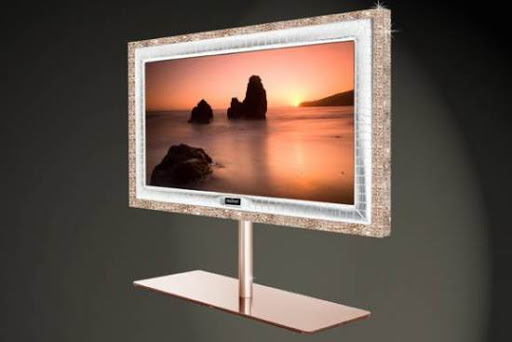 Yes, flat panel TVs that are covered in crystals, diamonds or whatever else you can find that sparkles. From the Stuart Hughes signature collection of PrestigeHD. Sadly enough… I want one! That’s the Elsa Peretti Diamond Heart Pendant from Tiffany. How lovely!! !